Welcome to the Attendance Office. 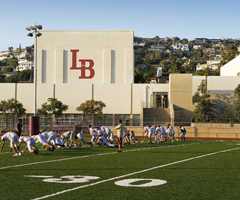 In order to be accurately accountable for every LBHS student, we strive to consistently adhere to the Education Code and attendance policies set forth in the Parent Student Handbook. Please refer to the following policies when your child must miss any part of his or her school day. Per the LBHS Student Handbook, excused absences include illness, medical appointments, funeral (immediate family member), court appearance, pre-approved extended absence or other extenuating circumstances. Per the LBHS Student Handbook, unexcused absences include vacation, oversleeping, out-of-town visitors, missed bus, wedding, out of gas, traffic citation, child care or other personal/business reasons. Per the LBHS Student Handbook, students must obtain an Extended Absence Form from Attendance if they know they are going to be absent from school for any reason other than illness, including college visits. For those students who are 18-years old, please note that the Student Information Change Request to Verify Personal Absences for 18-Year Old Students form must be filled out by the student, parent/guardian, Registrar and LBHS Administration before the privilege is put into effect. NOTE: Students with a record of excessive absences and/or tardies prior to turning 18 will NOT be granted this privilege. This privilege can be withdrawn by the parent/guardian or school administration at any time, if this privilege is being abused. PHONE: Dial the main school line at: 949-497-7750 before 10:30 am and select PROMPT 2. (Based on the number of students and volume of calls, emailed information is preferred). WRITTEN NOTE: Have your student bring a note, with the information listed above, from a parent/guardian to the Attendance Office in the morning. Per the LBHS Student Handbook, students who are not feeling well should notify their teacher and request a pass to the Health Office. 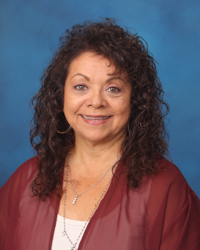 The Health Clerk will determine whether or not the student’s parent/guardian should be called requesting that the student be picked up or released to go home. Students should NOT call their parent/guardian from the classroom, as this is a cell phone violation. Students MUST check out through BOTH the Health Office, as well as the Attendance Office (failure to do so will result in a TRUANCY). Students who are not feeling well during Break or Lunch should come directly to the Health Office.